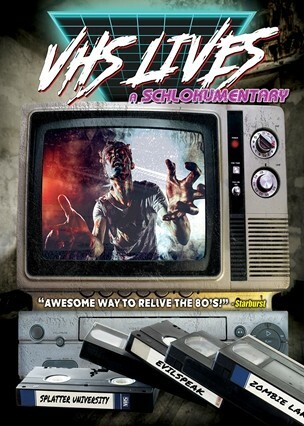 Videogram: VHS Lives: Pre-orders available now! An update on the VHS Lives documentary: Mid-March I received word that the UK-produced documentary had secured distribution on DVD via WWMD, and this past weekend the DVD was announced being available to pre-order! You can order your copy via WWMD direct here, Forbidden Planet here and iTunes here. The documentary, featuring myself and Videogram's music, as well as Jörg Buttgereit, Troma's own Lloyd Kaufman, and Josh from Lunchmeat VHS Fanzine, and others, goes deep into the psyche of VHS collectors, SOV filmmakers, and VHS-inspired musicians/producers, and shows why the old VHS tapes you have rotting away in your loft are becoming antique collectors pieces! Awesome way to relive the 80's!